Another year at the Shot Show has come to its inevitable end. Following two days at the Boulder City Rifle and Pistol Club, both working on the safety team, and reviewing the latest industry products, was followed by four days at the show in the Sands Pavilion on The Strip. Luckily, being locals we had the option of travelling home each evening via the after show parties and firearm factory tours. This allowed us to maintain or sanity through the Shot Show excitement and inevitable exhaustion. 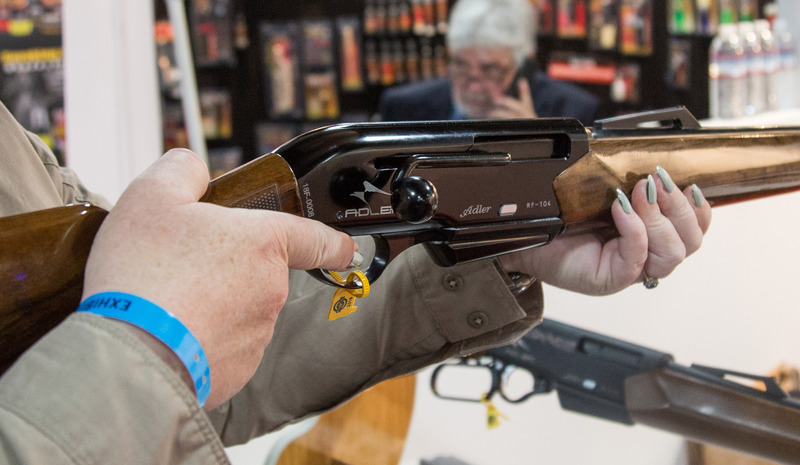 Looking at the Shot Show from the perspective of what is or could be legal in Australia can leave thin pickings. For example, this year there was again a growing number of incredible precision bolt rifles, designed for competition shooting and hunting. Many of these rifles were in .223 and .308. The incredible detail of the craftsmanship and engineering was there for everyone to see, but sadly, so was the sad fact that many of these quality and precise rifles would fall foul of the Australian appearance laws in states such as New South Wales and Western Australia. A cautionary tale for the United States and Canada. Saying that, the show this year was not one of revolution, but more one of evolution of products. There were some interesting new products around the odd corner that could be suitable for the Australian market. For example, with the growth in jurisdictions introducing a ten round magazine limit to longarms, one interesting product was from Cross Industries in British Columbia, Canada. 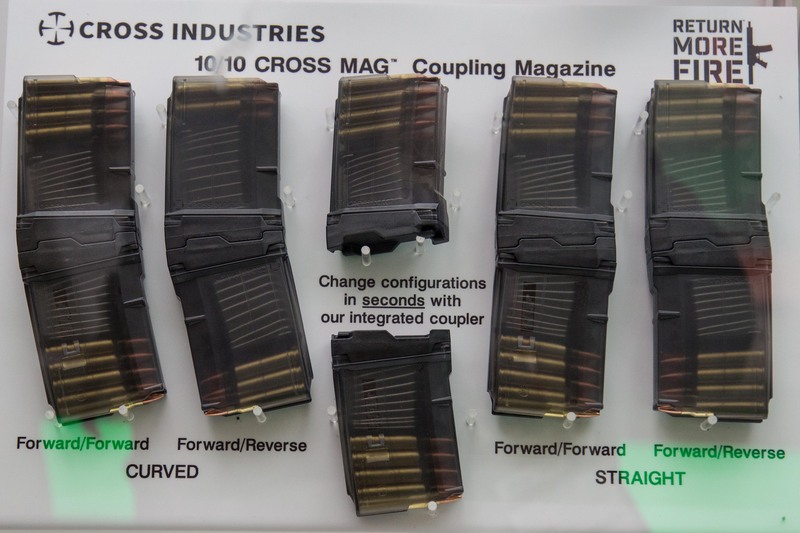 Their 10/10 Coupling magazine is a transparent .223 rifle magazine that had a coupling point on the end of the magazine allowing a second magazine to be coupled through the linkage. It could be coupled in several positions. The basic concept was when you fire ten rounds, you eject the magazine, turn the coupled magazines upside down, load the coupled second magazine and keep firing. Cross Industries are interested in bringing what appeared to be a quality product, to Australia and New Zealand. A second interesting product was the Franklin Armory Providence not semi-auto rifle. Brandon from Franklin Armory produced a video for Firearm Owners United, which described the function of the rifle. In short, when you pull the trigger to the half or catch point, it loads a round from the magazine. When you fully pull the trigger, it then fires the round. It is not semi-auto. It is a two stage trigger, which means that it is legal in many jurisdictions, where the anti-gun, solve all problems through banning crowd, have passed the normal insane banning laws against semi-automatic rifles. After spending some time with Brandon getting used to the trigger, I was confident that both the look of the rifle and the trigger function would make it a winner. Kept for last in the interesting product list is the new Adler .308 straight pull rifles that are under development. 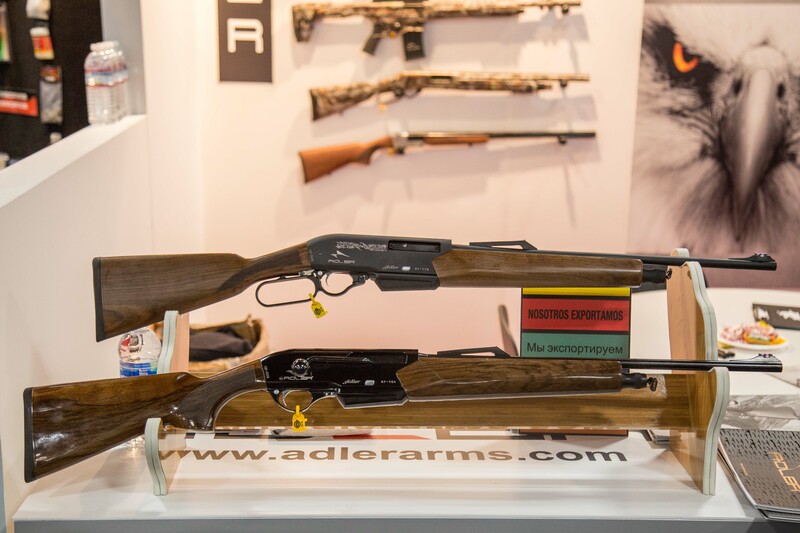 Adler are preparing to launch an easily reloaded, non semi-auto .308 straight pull rifle that would be a winner in Australia. After spending time manipulating the trigger and straight pull reload, I have to say that the reloading was incredibly simple, appeared reliable, and any farmer needing a simple solution to an immense invasion of his farm by invasive species, without going the C or D rifle route, would find this a reasonable solution. There will be more to come on this rifle, and other calibre Adler straight pulls over 2019. At the 2020 Shot Show Range Day we hope to be testing and recording the results for the Australian market. Other products to hit the stands were the new Glock 43x and 48 pistols that would be banned in Australia, as well as the very nice new Mossberg MC1sc pistols, which are also banned in Australia. Nothing like a country with overly restrictive, politically driven gun laws to destroy both a gun industry and half destroy a shooting sport! Well done Australian snowflake politicians! In relation to the United States, with possible changes to our state and federal gun laws on the cards during this, and the next Presidential term, there was an overriding mood of uncertainty around the Show. With the growing concern in parts of society to reform laws related to firearms, and the zany left’s attempt to copy the overly restrictive, politically driven Australian laws, it was very pleasing to again see that our industry in the United States was getting ahead of the curve and commit to supporting initiatives to reduce gun deaths through supporting charities and voluntary groups concerned with the promotion of initiatives aimed at suicide prevention, as well as ensuring that any coming reform is centred around the need to prevent firearms falling into the wrong hands. As Australian firearm owners say, the most responsible and most checked, honest and honourable members of society tend to be firearm enthusiasts and owners.